Derrick Kosinski & Scott Yager are joined by Josh Martinez. The Challenge has widened it's landscape and brought in new faces from a variety of Reality TV platforms. Over the past few seasons, we have had quite a few representatives from the long-running CBS series, Big Brother. Josh Martinez (@JoshMBB19) is the first Big Brother WINNER to cross over to The Challenge, making his debut on the current season of War of the Worlds. Josh joins Derrick (@DerrickMTV) and Scott ... See More (@SHOTOFYAGER) to discuss making the transition from Big Brother to The Challenge, why he should have made his debut even sooner, how his game differs between the two shows, what it's like being partners with Amanda and tons of other interesting tidbits from his time on both shows. Hulk Hogan is doing a Meet & Greet at Hogan's Beach Shop in Clearwater, Florida on March 23rd and when you head to www.HogansBeachShop.com to get your tickets, if you use the code CHALLENGE, Hulk will hook you up with a FREE HULK HOGAN BANDANA! The Challenge Mania Shop is ALWAYS OPEN! 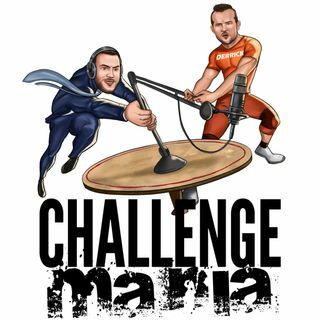 Head over to www.ChallengeMania.Shop to see what new designs have been added and to pick up podcast merch and to support your favorite cast-members like Mark, Cara Maria, Darrell, Jemmye, Marie, Kailah, Shane, Devin, Paulie & more!